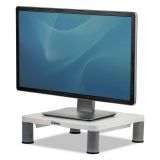 Designed to support most monitors up to 60 lbs. 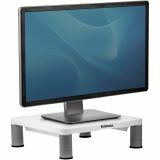 Fellowes Standard Monitor Riser, 13 3/8 x 13 5/8 x 2, Platinum/Graphite - Monitor riser is designed for use on your desktop or on top of a CPU. 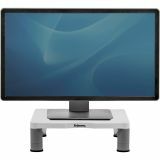 Innovative stacking columns adjust to three different heights (2 to 4") to raise monitor to eye level to help prevent neck strain. Space beneath platform can store papers. 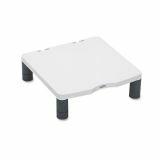 Nonskid rubber feet ensure stability on any surface. 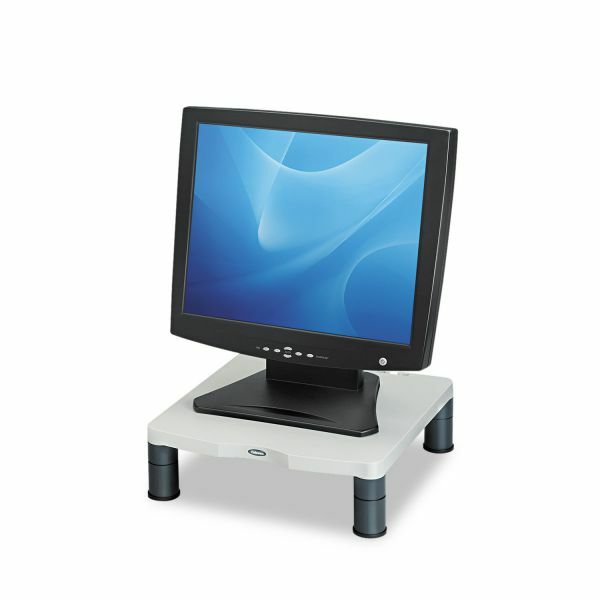 Riser holds 21" monitors up to 60 lb. and includes convenient cord management." Nonskid rubber foot rings for stability. Adjusts from 2" to 4"